AS Watersports. Canoe and Kayak Specialists, Exeter, Devon. New showroom doubles A.S floor space. 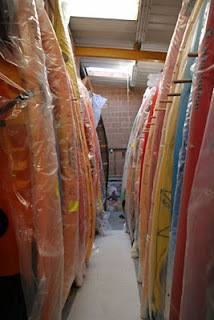 Large,bright and great for seeing the best on offer in the world of paddle sports. 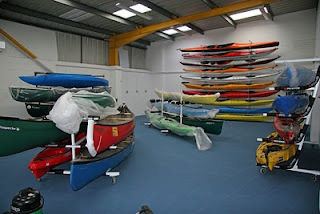 Our new 1500 sq ft of fresh display space has all the day tripping, sea kayaking, estuary cruising, kayak fishing and open canoes you could want. Our fleet of brand new Essence 16 and 17's supplied by Perception are already being booked up. A full spectrum of Scooters, the UK's favourite sit on top? Come for a free demo at our waterside shop 200mtrs up the road. Like to try some thing else? We are an official Dagger test centre, including Mad River canoes and Wilderness systems with nearly 30 boats across the brands. Fishing kayaks and sit on fishing kayaks from Ocean Kayak, Wilderness systems, Perception and Native can now be seen in all their glory. 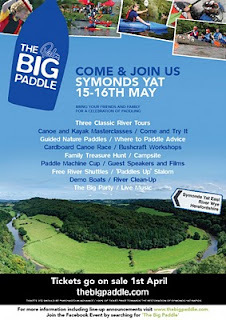 Theres plenty to see, so come and join us now its looking proper! Be quick before we eat all the chocolate eggs then have to nip onto the canal in a new vessel to burn them off! The showroom is open now, the kettle is on. Devizes to Westminster Race, easter weekend. This weekend is the world famous D-W race. The canoe marathon over 125 miles is a true test of fitness and stamina. Click the banner below to go to the DW site. We have been helping out tow teenagers from Dorset in their race efforts to raise money for Help for heros. Pyranha kayaks have kindly lent Alan and Josh two Speeder kayaks for the event so they will have a fast boat to use. Our new 1500 sq-ft showroom took a step closer to being ready this week, when we laid the new carpet. We are now getting on with all the last few details, odd jobs and small fiddly bits ready for the grand opening on the 1st of April. Our new showroom will enable us to display a wide range of fishing kayaks, sea kayaks, touring kayaks, large sit on kayaks and canoes. All the stuff that we currently stock, but just don't have the space to display well! So why not join us for the grand opening on the First of April? More details can be found on the AS Watersports main website. Plus lots of stock next door in the warehouse! The Palm BIG paddle is a celebration of all things paddling and a chance for PAlm Equipment to say "thank you" to all those who have supported them over the last 30 years. Click the picture to go to the website for all the details. We've just taken delivery of the new range of Yak Dry Trousers. There are three trousers in the new range, the Manta, the Moray and the Wrasse. 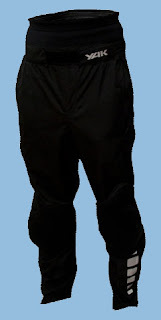 The Wrasse is a high chested trouser with a front pocket. They are made from a lightweight and highly breathable 2.5 layer fabric, with reinforced seat and knees and adjustable ankles and shoulder straps. The Moray is a high chested dry trouser, with a high inner neoprene waist and natural latex ankle seals. The Moray is made from durable and highly breathable 3 layer fabric, with reinforced seat, knees and inner ankles. It features an adjustable elastic waist and shoulder straps. The Manta is a great all round dry trouser with a high neoprene waist and natural latex ankle seals. The Manta is made from durable and highly breathable 3 layer fabric, with reinforced seat, knees and inner ankles. We are hosting a Demo day for a new brand to the shop: Tek Sport. Tek Sport have been around for a few years but this year we have decided to stock them as the products have really moved along. 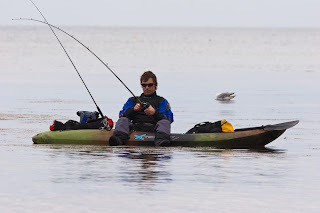 The FX Angler looks set to become a firm fixture on the kayak angling scene and the Xcite 260 and Xcite 290 will be some of the most fun sit on tops for beach use we supply. The demo day will have all models on display and for free demos here in Exeter in the canal basin. The demo day runs from 10am - 4.30pm and our new 1500sq ft showroom will also be open for you to see all teh rest of the worlds best sit on top, canoe and kayak brands including Ocean kayak, Wilderness Systems, Mad rive, Old Town, Dagger, Perception, P+H, Valley sea kayaks and more! For all your paddling needs come to AS Watersports where our friendly staff and extensive selection of kayaks, canoes, and all sorts of watersports equipment caters to all needs from the beginner to the expert. 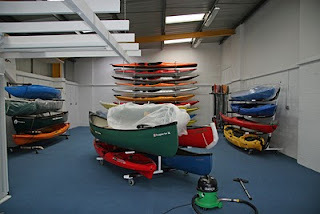 We are based right on the quay in Exeter, Devon, so you can test out a kayak or canoe before you buy. 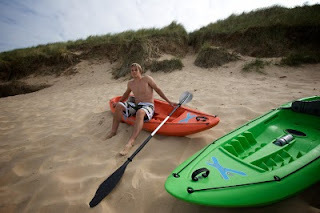 We are the South West's largest independent kayaking retailer. Browse our online shop or give us a call for more information.